This is a no onion no garlic recipe. I learnt this from my amma. 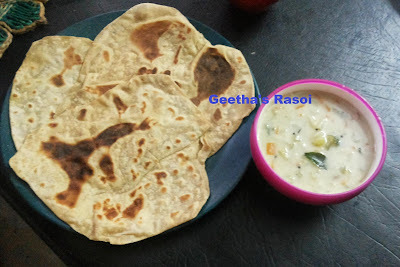 This is a side dish which goes well with chappatis and puris. It’s not too spicy so kids will also love this. Grind coconut, jeera and green chillies into fine paste for masala. Chop the vegetables and pressure cook for 2 whistle, add masala to cook vegetables and boil it for 5 minutes. Heat 1 tsp of oil in pan add mustard seeds. When it splutters add curry leaves. Pour this on boiling curry and mix well. 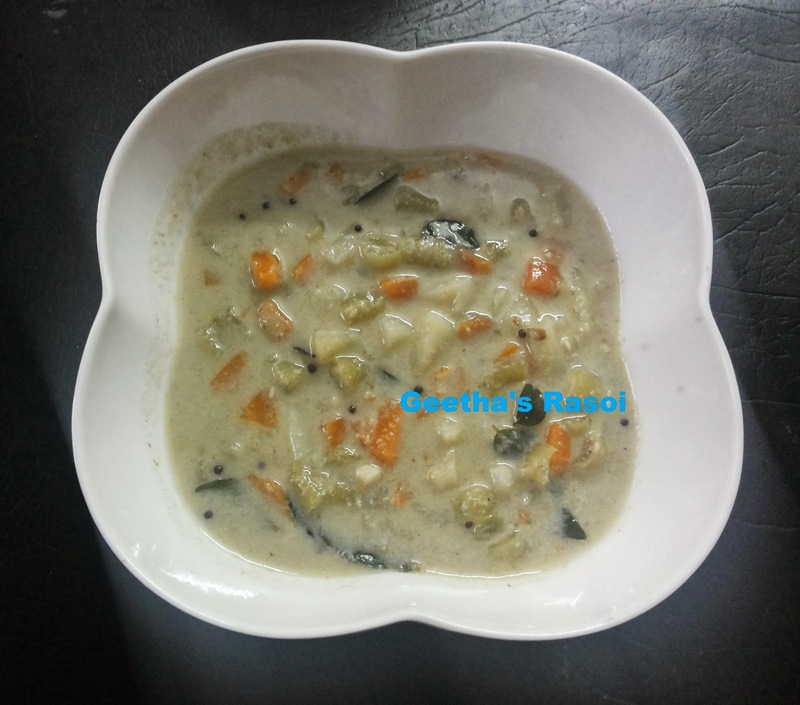 Vegetable saagu is ready to serve with chappatis.